Ornamo, the Finnish Association of Designers, has featured Design for Government (DfG), one of Creative Sustainability Programme’s prominent courses, in the latest issue of its magazine (4/15). 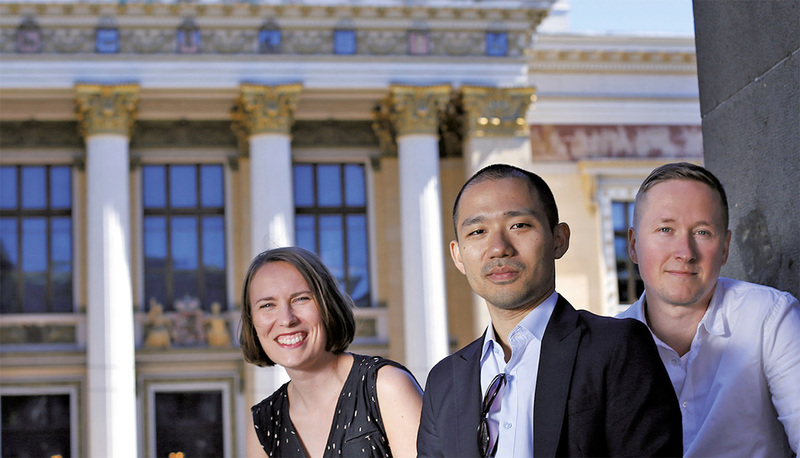 In an article titled “The design process as an opportunity to expand,” Hannu Pöppönen interviews the founders of this course. The following excerpt, translated in English, provides a peek into this article. Says designer and researcher Seungho Lee. Together with architect Hella Hernberg and design researcher Juha Kronqvist, he has taught the deployment of user-centred design in society and governance at the Aalto University’s project Design for Government. User-centric design methods can help governments and other public sector institutes to open up their decision-making processes to citizens and other stakeholders. It makes it also possible for citizens to participate better in the development of public services. “The designer is a bridge-maker that explores possibilities and aims to find a synthesis of all the challenges”, Lee says. When designers work in public sector organisations, they can affect changes and reforms more effectively and spread design understanding within the organisations. Working from within organisations is also important because it makes it easier to give assignments to external agencies and create the design briefs for projects. A design brief includes the project’s objectives, current state and desired outcome in addition to resources and people that can be a part of it. “In current design challenges, such as ageing, climate change and health care, these components are unclear. Especially in projects where the possibilities have as an important role as challenges”, Lee says. He is researching the design brief in his dissertation underway. The design brief evolves during the project, which does not mean it would not be important. “It defines a good starting point and gives the designer and client organisation a chance to deeply think what is needed and how do we know that we have achieved our aim. When the brief is clear, it enables accurate proceeding, although the brief would be refined or even deconstructed during the project. One key factor in planning and designing services is a culture of experimentation, which has just been written as an objective in the government programme. Methods are borrowed from other fields of science, such as anthropology. Prototyping and iterating are quick and effective methods, which are used in design processes. They are risk free and cost-effective methods also in developing public services. It is more fruitful to work step-by-step and through trial and error than trying to get all the solutions in one go. The complete article, published on page 11 of this issue, can be read in its original Finnish here or downloaded.